Encaustic Art brand refreshment goes live! broke the links of the earlier sending - apologies. 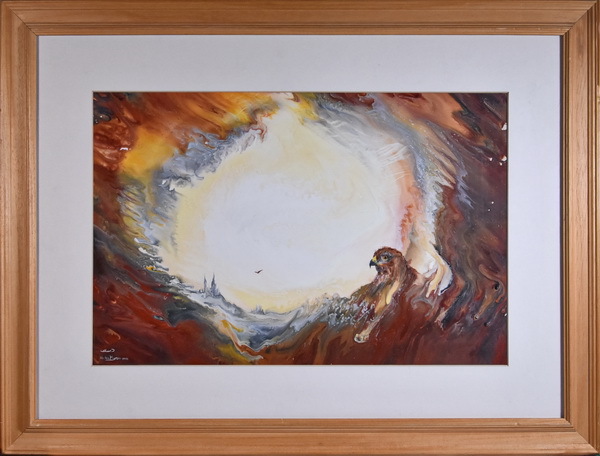 As 2018 progresses there will be new products emerging to add more possibility and information to your enjoyment of this fascinating Hobby Art. Stamp sets, graphical tools, a book and twin DVD set are all on the way. We have now sold out of the former Get Started sets. 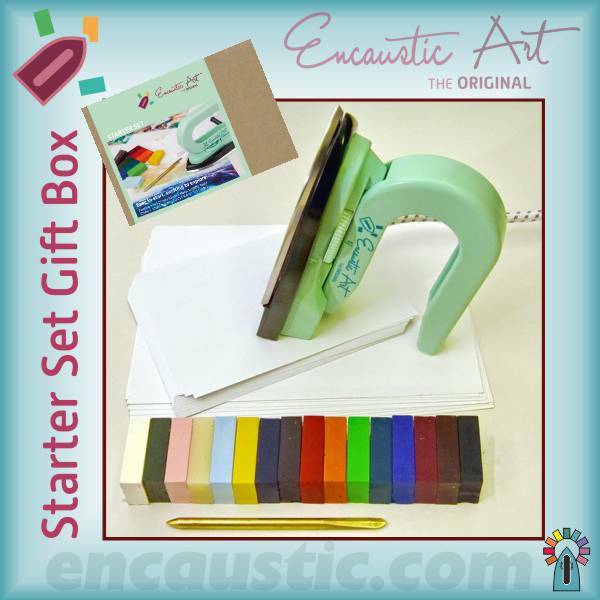 The new Encaustic Art Starter Set is here. It is a beautifully eco-packaged gift box with iron, waxes, cards, a scriber and some information in 5 languages (English, German, Dutch, French and Spanish). Michael & Shona Bossom have a couple of hours of live TV coming up on 16th February at 12 noon and 4pm. These shows will introduce the new Starter Set and there will be some demonstrations as usual. These are on a shopping channel, so the production focuses on selling product, but sometimes the demos can be helpful. 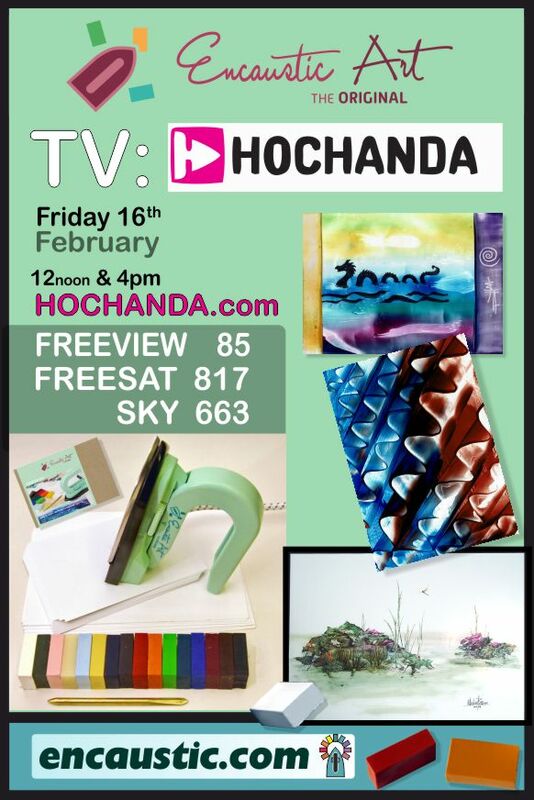 There is also a great way to look at the programs after they have aired live - go onto the Hochanda.com website and find Rewind in the top ribbon menu. In there search for "Encaustic Art" or scroll around to find it. Once you have located the program you can begin watching, but the great thing is that you can skip through the whole thing using the scroll bar at the bottom - brilliant way to find the bits you want and watch / re-watch them and also to skip the parts that you don't want to see. all creativity brings us as we work forwards.